“It is a well known fact that people gravitate towards the people, places, and things that resemble themselves. As a result, customers are attracted to websites they feel they have something in common with or they can relate directly to. For this reason, personalisation in Customer Experience is vital for businesses. The following techniques are easily implementable ways for retailers to improve their ecommerce sites with more personalised customer experiences. Having a consistent message throughout is essential for a campaign, particularly from PPC adverts to a company’s landing page. First and foremost, this consistency ensures that the website’s bounce rate is reduced. Using specialised personalisation techniques such as using dynamic text headings on your landing pages which can be modified according to what adverts visitors click through to arrive on your website, you can ensure a consistent and coherent message through the users journey. If a pet owner is drawn into your site through one advert that mentions cats, that same wording will appear on your landing page. 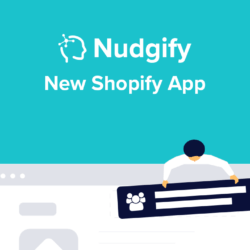 If a different visitor arrived via an advert that is targeted at dog owners, the wording on the landing page will change to reflect this advert. 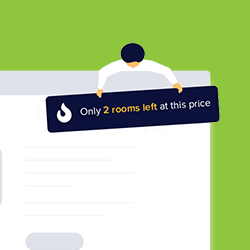 Businesses can adjust their landing pages’ copy in accordance to which advert the user has clicked on, ensuring perfect consistency throughout. The best dynamic text plugins allow you to create a whole range of possible messages simply by adding them as a parameter in the URL. Another way personalisation can enhance Customer Experience is by personalising locations. Companies can also utilise visitors geolocation and insert this into the website pages, allowing for the creation of personalised content to improve engagement with products and services. This ensures that not only are you providing a personable service, but also customers will be more engaged in products and services. Sites can use the nearest city or country that the visitor is in and can create personalised adverts and landing pages that the visitor is more likely to engage with. Websites can also use neuromarketing-based personalisation techniques such as creating notifications that capture the audience’s attention and create a sense of urgency which encourages the visitor to take action. Techniques such as scarcity notifications make Customer Experience feel more personalised by using real-time visitor data. 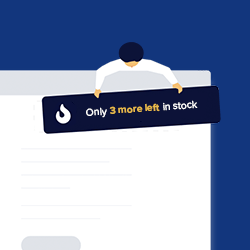 For certain products, such as where there is only a few items left in stock, scarcity can make the product seem in high demand and encourage the user to make a purchase. This will encourage customers to finalise purchases quicker as it places more value on their minds, optimising the results for a business in real time and displaying the most persuasive message at the correct time, which is essential for businesses. The more personal information customers receive on a product, the more confident they feel when making a purchase. Providing more information to customers such as the ideal size for their height or what they could style with the product ensures that they are making a well-informed decision based on a more rational basis, even if the information to the product isn’t all that relevant. Through using the technique of information bias, your business makes customers feel secure as plenty of detail has been provided. This technique can be applied when displaying all products and offer. It is also ideal to treat product images with a similar mindset, if you can provide several angles or a video of the same shot then make sure you do. Want to learn more about cognitive biases? You can read more about Cognitive Biases on our blog, and we also have a library of 250+ conversion rate tactics based on these principles. And when you’re ready to put them into practice, why not take a free 30-day trial of Convertize!